Rakshit is already on his way to secure his position in the Kannada film industry as a superstar. Every show of his latest Kirik Party film is housefull and has crossed ₹10 crore collections at the box office in the first week itself. According to the Kannada film trade, it has earned ₹ 6.5 crores in the New Year weekend. With this Rakshit is already on his way to secure his position in the Kannada film industry as a superstar. He is young, talented, good looking, and he knows how to woo his fans. We all have seen him in different characters and playing different shades in Ulidavaru Kandanthe, Vaastu Prakaara and Ricky. 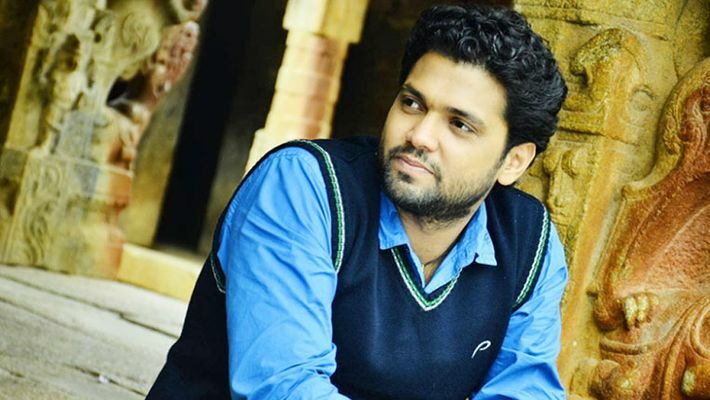 His latest movie Kirik Party is even produced and penned by Rakshit. Reports say that Rakshit wrote the script of Kirik Party before the popular Bollywood movie 3 Idiots released and then his story had three heroes. So they had to change the entire script as they scared that people would think that it is a remake of the Bollywood film. The film is said to be the biggest opening for the actor, especially when the entertainment industry is struck with demonetisation blues. In a very short span of his filmi-career, Rakshit has received many awards like the Karnataka State Film Awards for Best Debutant Director for his movie Ulidavaru Kandanthe he also received Filmfare Award for the same film. Well known for his acting post Ulidavaru Kandanthe, he is also a director, screenwriter, lyricist, writer and producer. His contribution to Kannada cinema is commendable because he has introduced a different flavour to the sliver screen with his experience. Engineer-turned-entertainer, Rakshit has it all because of his hard work and dedication. His movie Godhi Banna Sadharana Mykattu was also successful and praised by the critics and audiences.